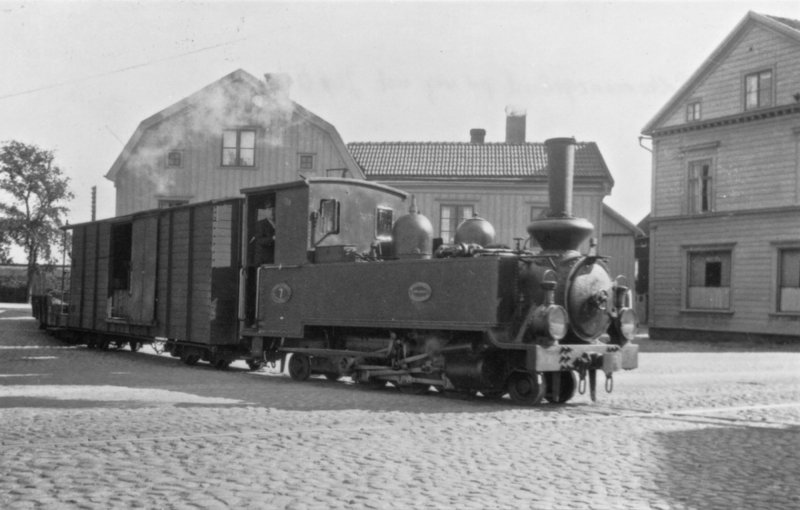 The Jönköping-Gripenberg railway was built in stages between 1893 and 1900. The line connected the town of Jönköping with the village of Vireda, 43 km away. A planned extension to Gripenberg gave the railway its name, but it was never built. Earl James Hamilton of Lyckås Estate, 10 km from Jönköping, single-handedly ruled both construction and operations. The line passed two towns, areas of great natural beauty, villages and large farming estates. 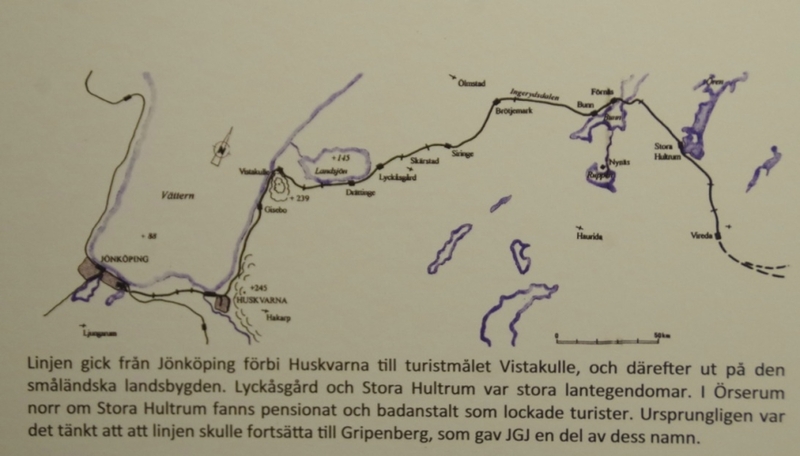 JGJ became the very answer to two conflicting transport needs – the large Husqvarna Weapons Works demanded a standard gauge line into Jönköping, whereas the farmers and estate owners wanted inexpensive transport for their local forestry and farm products. The new railway became a convenient means of travel to the two nearby towns. JGJ owned nine steam engines, sixteen coaches and some one hundred freight wagons, a much larger rolling stock than the other six lines had. Freight and passenger traffic was also much more extensive. Most years the railway generated a profit, but as early as 1932 it went bankrupt for the first time and was then closed down entirely four years later.